Vojtech is one of the partners of rutland & partners who has been advising the clients of rutland & partners from the establishment in 2010 (under brand rutland ježek). Vojtech specializes mainly in the field of Mergers & Acquisitions, Real Estate, Insolvency & Restructuring and IT law. Throughout his more than 10 years’ practice, Vojtech has advised number of corporations and wealthy individuals in the process of companies’ acquisitions and sales from the beginning of the process (including thorough due diligence of the company), structuring of the transaction and full negotiation of the deal focusing not only on the legal matters, but also the commercial aspects of every transaction. Vojtech’s knowledge of the market and experience allows him to effectively guide his clients not only through the transaction itself, but also through the negotiation and structuring of the financing documentation with the financing entity. During his practice, Vojtech has further represented many clients in preparation of various kinds of transformations (mainly mergers and demergers) while mitigating all the legal, tax and commercial risks involved in them. Vojtech focuses on the Real Estate law from the very beginning of his career representing mainly large international corporations focused on residential development, office development and hospitality industry. Having the experience with high value transactions allows him to focus on the most important aspects of the deal without missing all the important details. Regardless of the size of the transaction, Vojtech is able to efficiently advise his clients how to get the deal done without any unnecessary inconveniences. Vojtech is providing his advice also with regard to ongoing real estate projects irrespective of the client’s specialization. Vojtech’s clients involved in real estate development achieved with Vojtech’s assistance finalization of development of thousands of square meters of residential, office and commercial space. Vojtech’s guidance in the real estate development include the strategic planning of the development, negotiation with the general contractor of the client, negotiation of cooperation and easement agreements with the neighbors of the project, assisting with the relevant administrative proceedings (master plan changes, planning permits, building permits and occupancy permits), preparation of the sale or leasing of the finalized units in the building or the building itself and many other areas of advice. Business might not always go as planned and insolvency is the area that every client shall be aware of. Vojtech is able to bear the potential insolvency in mind when negotiating any deal to ensure that the adverse effects of potential insolvency are as minimal as possible. Having represented both creditors and debtors in many insolvency proceedings, Vojtech is able to tailor the best solution of every unpleasant situation. Vojtech represented many debtors in different stages of insolvency or in danger of insolvency. Vojtech managed to resolve various situations of his clients avoiding the bankruptcy while negotiating with the creditors on restructuring of their debt without having to declare bankruptcy. Vojtech also advised many debtors in the insolvency proceedings with the aim to get through the proceeding, eliminate the debts and continue with the business via the reorganization process. Knowing all the aspects of complicated insolvency proceedings, Vojtech manages to represent the creditors to achieve the highest rate of debt satisfaction possible. With the fast changes and development of technologies in the IT, the legal regulation often falls behind. Therefore, the best IT lawyers have to come with original and creative solutions to be able to represent clients who are active as leaders in the IT development. Many attorneys are claiming the knowledge of the IT law, but only a few have the true experience in dealing with brand new technological and connected legal issues. Vojtech has been advising the IT pioneers for many years. Having the actual practice with various aspects of IT Law allows Vojtech to represent the innovators and market changers. 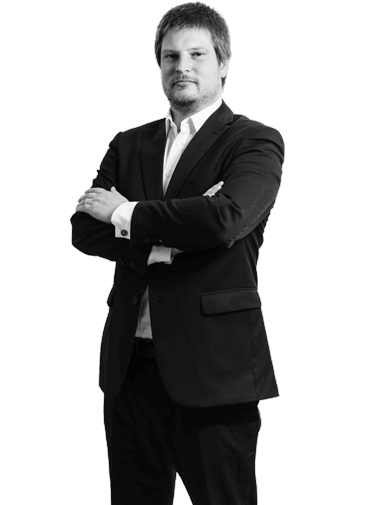 Vojtech focuses mainly on blockchain technology matters while assisting his clients in ICOs structures, crypto currency contracts preparation and negotiation and advice related to the EU and local regulation changes ensuring that the blockchain solution is in line with the current legislation.